Posted on 25 July, 2016. Opposition Leader Bill Shorten has unveiled his new look Shadow Cabinet. Following a week of media reports on the various negotiations surrounding frontbench appointments, Saturday’s announcement confirmed that veteran Victorian Senator the Hon Kim Carr would retain his position on the frontbench. Given the maximum number permitted in the shadow ministry is 30, two Labor frontbenchers – ACT’s Andrew Leigh and the NSW right’s Sam Dastyari – will be paid as backbenchers while holding shadow ministerial positions. Mr Shorten has used the post-election reshuffle as an opportunity to completely overhaul his frontbench, while trying to accommodate newcomers and manage factional tensions. A couple of rising stars have been elevated to more senior positions, including Dr Jim Chalmers and Ed Husic. While it had been widely speculated that a number of Labor’s frontbench wanted to switch portfolios, there were still some unexpected changes announced in the reshuffle. “father of reconciliation”, Senator Dodson, a Yawuru man, will advise Mr Shorten as the assistant shadow minister for this portfolio. Frontbench casualties included Sharon Bird who made way for her colleague in the NSW right faction, Ed Husic, and Victorian David Feeney whose performance during the campaign was widely considered inadequate. Deputy Leader of the Opposition, the Hon Tanya Plibersek MP, moved from Foreign Affairs and International Development, to lead a new “education dream team”, in the Education portfolio. Andrew Giles and Terri Butler will be shadow assistant ministers for schools and universities respectively, and Kate Ellis will complete the team as vocational education and early childhood education spokeswoman. Plibersek also becomes shadow minister for women, replacing Queensland Senator Claire Moore. One of Labor’s most accomplished talents, Senator the Hon Penny Wong was moved from Trade and Investment and has been rewarded with foreign affairs, with ACT MP Andrew Leigh becoming the opposition spokesman for trade and services. The Hon Tony Burke MP was moved from the finance portfolio to secure a number of important portfolios, including environment and water as well as for business and arts, citizenship and multiculturalism. The Hon Richard Marles MP moved from the contentious immigration and border protection portfolio to replace Victorian Senator the Hon Stephen Conroy in the key defence portfolio. He will assisted by Eden-Monaro MP Mike Kelly in defence industry and support. Assisting the reappointed Shadow Treasurer Chris Bowen, will be the young rising Labor star Dr Jim Chalmers, who will take on the more streamlined portfolio of Finance. Dr Chamlers previously served as shadow for financial services and superannuation, sport, trade and investment. 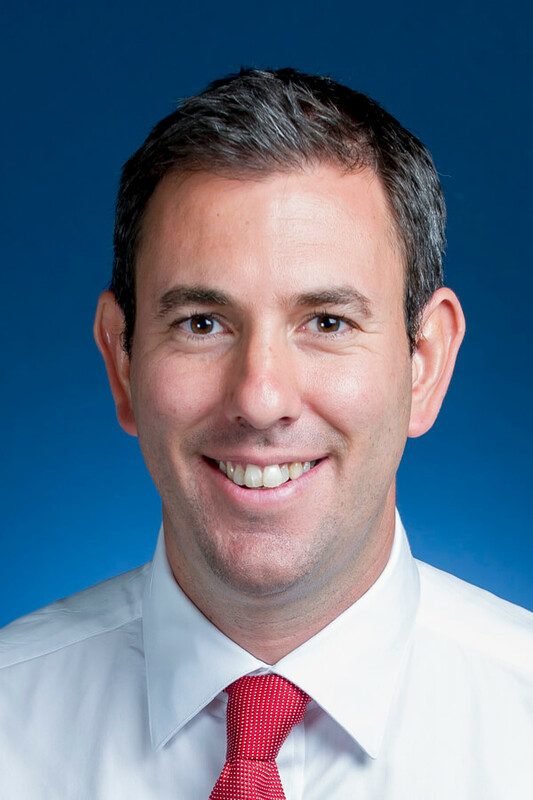 One of the first Muslim Shadow Ministers, the Hon Ed Husic MP has been elevated to the porfolio of employment services and workforce participation, having previously served as the Shadow Parliamentary Secretary to the Leader of the Opposition and Shadow Treasurer. Despite speculation that she would be moved on, Ballarat MP Catherine King retains the key Labor portfolio of health and with a focus on medicare. She will be supported by South Australian MP for Makin, Tony Zappia, as the Shadow Assistant Minister for Medicare. Tasmanian MP, the Hon Julie Collins will take on ageing and mental health, with fellow Tasmanian, Senator Helen Polley assisting with ageing. The first female Indigenous MP elected to the House of Representatives as the new Member for Barton, and former NSW Deputy Opposition Leader, the Hon Linda Burney was promoted straight to the front bench as Shadow Minister for Human Services. Despite rumours to the contrary, veteran Victorian Senator the Hon Kim Carr was saved by Mr Shorten and retained the innovation and industry portfolio, but lost higher education to Ms Plibersek, one of Labor’s biggest assets. Western Sydney MP the Hon Michelle Rowland was appointed to the communications portfolio, with fellow NSW MP Stephen Jones assisting her with regional communications. Rowland previously had citizenship and multiculturalism, as well as small business. For a full list of the Shadow Cabinet, click here. For further information or analysis about the new Shadow Ministry, or to discuss with us about engaging with the new Opposition and cross bench senators, please contact CapitalHill in Canberra on (02) 6198 3210, in Sydney on (02) 9221 9255 or via email. Alternatively you can contact Nick Campbell, Chairman or Stefanee Lovett, Managing Director Canberra. Receive the latest news, updates and press releases from CapitalHill Advisory direct to your inbox.